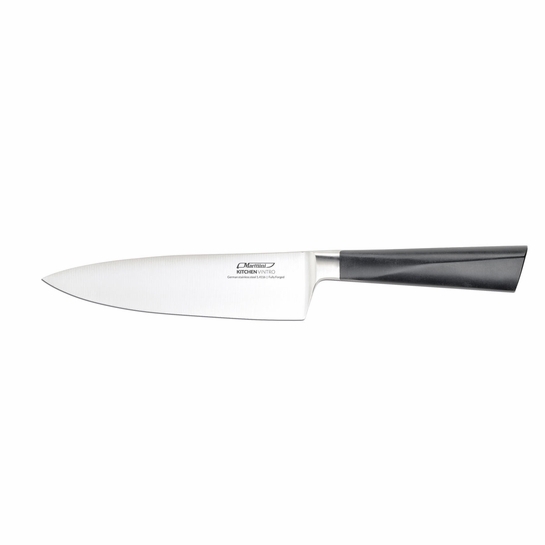 More about Marttiini Kitchen Vintro Chef’s Knife – 16 cm The Marttiini Kitchen Vintro Chef’s Knife features a fully forged, high-quality stainless steel blade. The handle is made of a sturdy, high-performance, hygienic plastic. The blade steel extends the full length and width of the handle (full tang) for ideal agility. Ideal for general use for smaller jobs in the kitchen, you can chop, cut and dice like a pro with the Marttiini Kitchen Vitro Chef’s Knife – 16 cm. 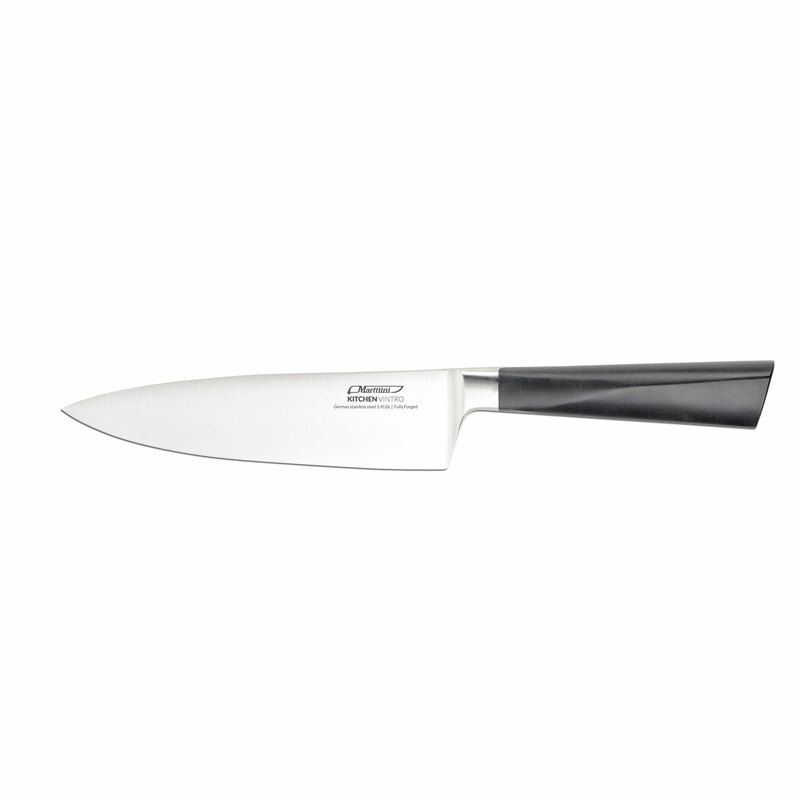 Note: Secondary image illustrates full tang and may not be of this knife specifically.Marttiini Kitchen Vintro is a kitchen tool collection fit for a chef and elegant in design. The collection includes 10 knives, each distinctively designed for excellence in cutting bread, meat, fish or vegetables. Price is for one chef’s knife. In addition to being very very sharp, it fits the hand comfortably and it well designed. Because all the aspects of what chef's knife should be we are going to buy and identical knife to give as a wedding present to friends of ours, along with several other items from Finnstyle.